If you have been in a pinch for cash in the last few years, you likely considered becoming an Uber or Lyft driver. These companies are known as ridesharing companies. One of the bigger hurdles to overcome when you drive for one of the companies is deciphering if your car is still covered if you are in an accident. Some insurance companies deny coverage if you are a ridesharing driver since your car is considered a personal vehicle. You should be aware that Uber also has limitations for when you are and are not covered. The issue isn’t a lack of coverage while driving for these companies; it is that there are 3 different situations that need to be considered when driving for a ridesharing company. The first is when you are driving your car for personal reasons. As you can assume, your personal insurance will cover you during this time. The next is when you have the app turned on and have a passenger in your car. The ridesharing company will ask you to verify you have insurance when you start driving, but the company will also have protections on the passenger, or their customer, that would cover medical expenses in case of an accident. The next example is the gray area that you really need to pay attention to as a driver for one of these companies. This situation is when you are driving, have the app on, but have not yet picked up the passenger. Your car is not being used for personal reasons, since the app is on. And many insurance companies will not cover you with normal coverage because of this. If you are in an accident on your way to pick up your passenger, ridesharing companies will not cover you, and neither will your normal insurance, leaving you with a huge dilemma. There are insurance companies that offer coverage, but not all companies do. So, if you are driving for one of these companies, get in contact with your insurance agent ASAP. We urge you to make sure you have the correct coverage. If you find out you don’t have the necessary coverage, Central can fix that! 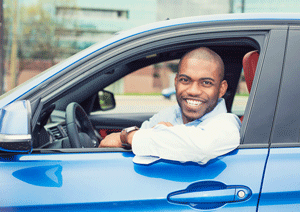 Our ridesharing endorsement will cover what your ridesharing company or normal insurance won’t. Adding this onto your coverage will allow you to be covered regardless of whether you’re driving for a ridesharing company, or not. While you may not think this coverage is necessary, there is a reason that it exists. You never know what might happen. Being prepared for extraordinary circumstances will be something you will not regret. Even if you are not in the ride sharing business, our insurance agents may be able to help you save on your insurance premium! Visit our website, https://centralnational.com/personal/insurance.asp, to find a Central Insurance agent near you today to get a free quote!